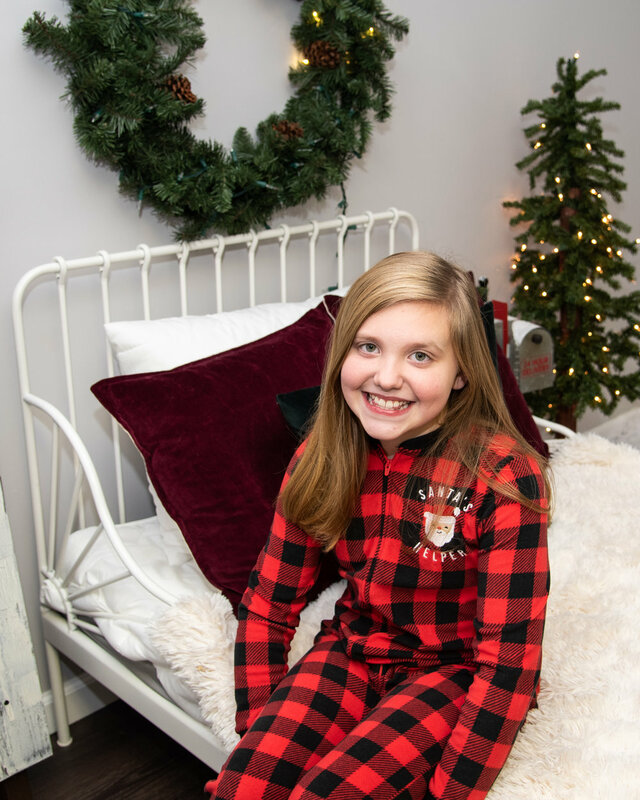 I absolutely loved working with Aubrey, she had the cutest little onesie Christmas pajama set and the prettiest little dress that she brought to her session! 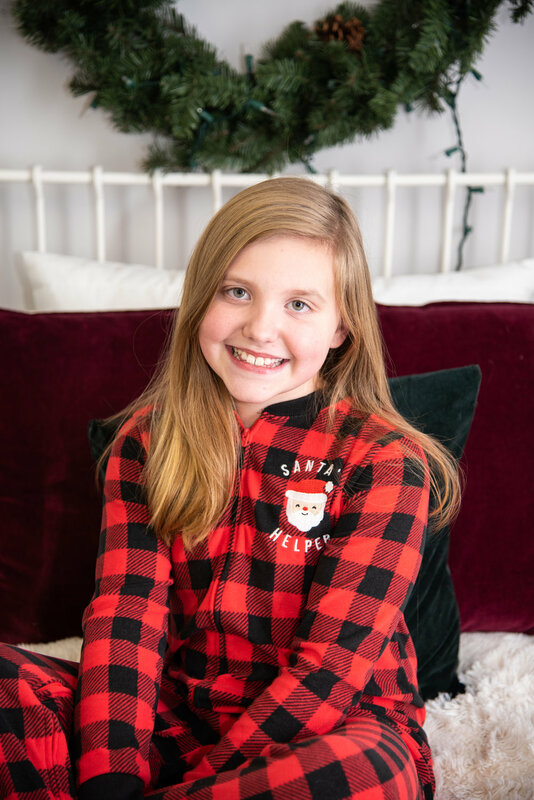 Aubrey is 10 years old and so mature, sweet, well mannered, and smart! 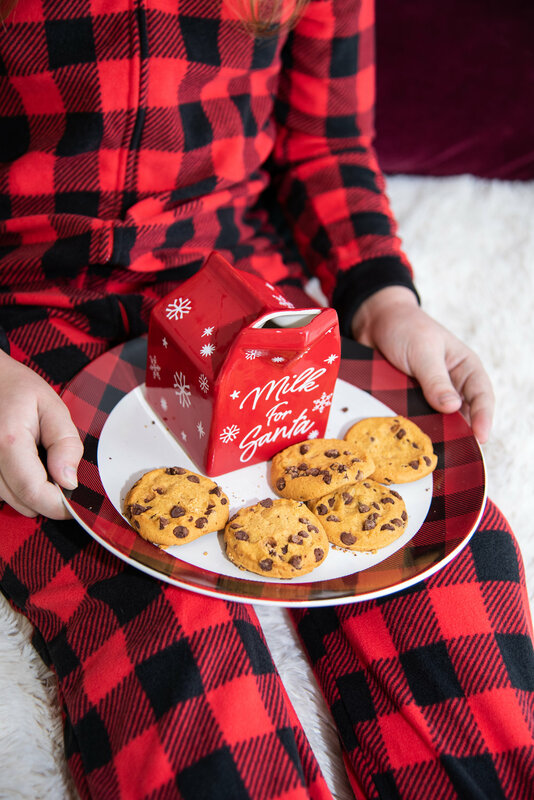 Don’t worry, I helped her eat some of those Chocolate Chip cookies! She even got to play with some puppies (Aki & Rizzo) in the studio, how cute are they?